As you may know if you read other posts on this blog, we are fans of soft pellets. We recently picked up several different brands of soft pellets and are in the process of reviewing them. In the next several week we will be adding many new reviews. I have been wanting to post something concerning the relative cost benefits of burning pellets over other fuel sources. This is information that you will not find on the back of a bag of pellets, or information that your average stove shop could quantify this thoroughly. There are a number of great reasons to burn wood pellets as a source of heat for your home. Pellets are made from manufacturing waste material, and burning them is a carbon neutral event. So if spread all that saw dust out on the field to decompose into the soil it would release the same amount of carbon as if it was burned. 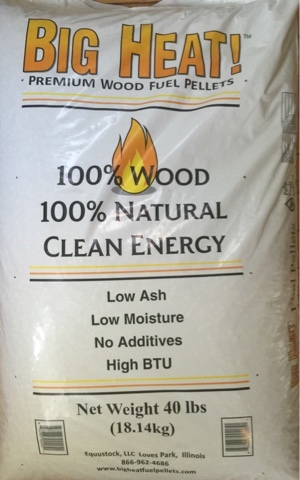 So whether you're concerned about carbon in the atmosphere, or just general conservation and avoiding waste, wood pellets are a great way to go. But beyond all the tree hugger business there is a significant cost savings to be had with a pellet stove. It is a challenge to compare home heating costs to one another in an "apples to apples" way, because each heating appliance expresses efficiency in different ways, prices its fuel in different ways, and has more or less volatile priced fuel. What I am going to illustrate for you is as close to a fair comparison as one can get to compare various fuel sources. The way we are going to compare the costs is to look at the cost for a net BTU output. More accurately a net 1,000,000 BTU output of heat. Now what makes this even more confusing is that most heating appliances are rated not by their BTU output, but rather by their BTU input. When you look at the efficiency of an appliance you are essentially gauging the differential between the input and the output. For the numbers that I am showing you I have selected relatively generic efficiency numbers for the given appliance, and also average prices for the specific fuels. To borrow a term from the EPA, "your mileage may vary". But this graph gives you a good idea of various heating systems real cost. The other thing to keep in mind is some of these prices are much more stable than others. For instance, because electricity is produced by a number of different types of fuels the likelihood of its price jumping is much lower than other types of fuels. As an example of a volatile fuel a significant disruption or conflict in the Middle East can send oil prices up significantly overnight. Natural gas would be somewhere between the two, seeing as we produce much of it domestically and it is a little more challenging to export to other continents. So if you're considering buying a pellet stove, or wondering if it is worth the trouble of loading a stove once a day this graph should be an objective look at actual cost differences. So PFI or the Pellet Fuels Institute is a North American trade association that does a number of things, but the thing that they do of primary interest to this website is to rate home heating pellets. There are 3 categories that pellets fall into with the PFI system- premium, standard, and utility. The problem is most pellets you will find at your local store are all rated "premium". There are huge variations in in what is considered a premium pellet by the PFI. I have gotten pellets that are total junk that carried the PFI premium rating. It is an issue of the bar being too low for the premium rating. For years I have been hearing chatter about an "ultra premium" rating being established, but to the best I can tell it has not happened. I really enjoy the pellet fuel world, and appreciate the the PFI exists. 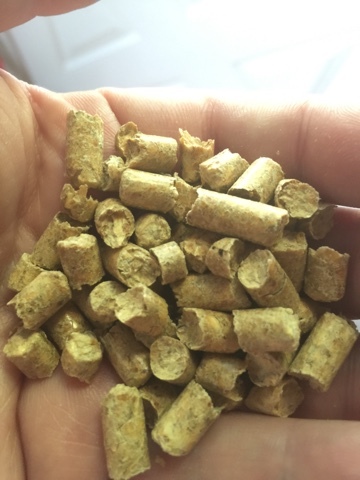 As the biomass pellet industry has matured the need for a 3rd party rating system that communicates information about pellet quality is more important now than ever. The current delineation's between premium, standard, and utility pellets are all but useless to the average pellet stove owner, because both the good, not so good, and really good pellets will carry a "premium" stamp. To the PFI- please rework the rating system, it would make us all smile. Even if the "ultra premium" rating materialized it would be super helpful.